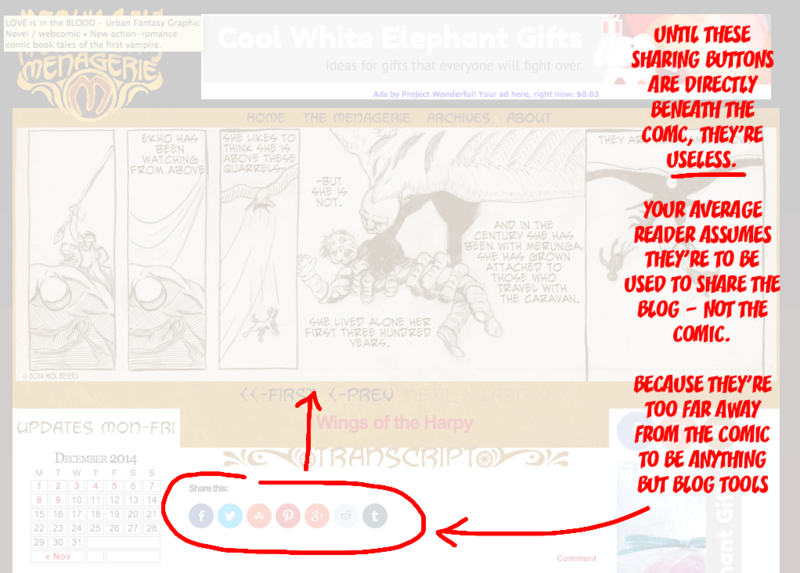 This is the main drawback of a graphic novel on the Web. Nothing really happened in this update. Nonetheless, I think the site itself does an admirable job of overcoming that daunting challenge. Because, in the moment, as I read the page, I started looking around for entry points. And I found multiple options. I found the ebook solicited at upper right, and I found several access points at the top of the left-hand column. In short, I think a reader who has even a smidgeon of interest in a given update can easily find his or her way into the story — using any one of several methods. In short, I think this site works really well to address a difficult problem. 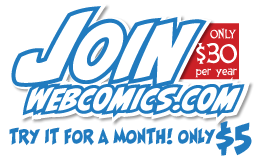 All it needs now is a way for your readers to share the comic on social media. 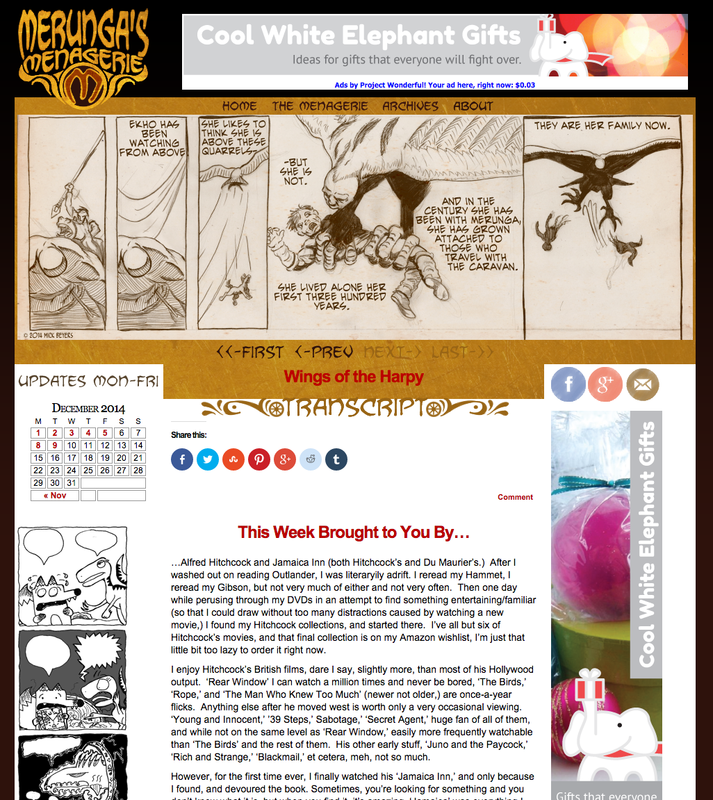 However, the aspect of the site that really stood out for me was the artist’s commitment to blogging. We talk about the importance of blogging here pretty often, and it was nice to see someone who had really seemed to commit to the idea. 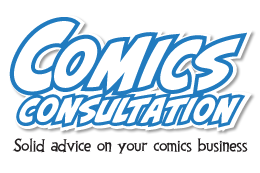 There’s lot of opportunities to share thoughts, grant special access to the comic, make announcements, etc. 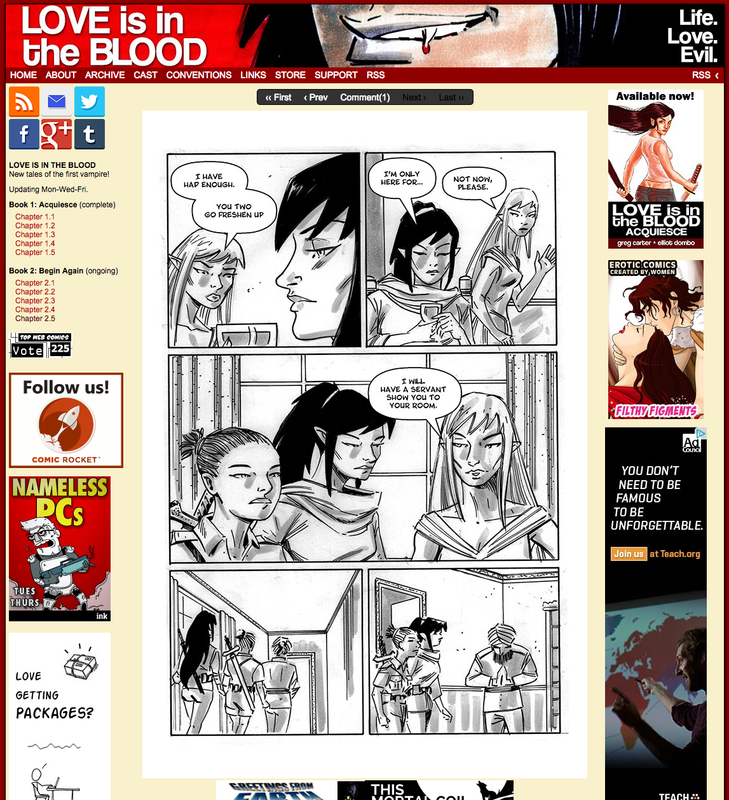 Speaking of the site, I was happy to see links to social media below the comic, encouraging readers to share. However, they are useless in their current position on the page. 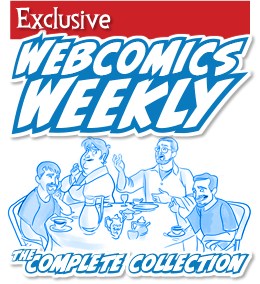 To get any kind of value whatsoever from them, they need to be as close to the comic as possible. Right now, they only “read” as tools for the blog (to which they’re much more closely positioned).